The 8800 is easy to use, all you do is fill the stainless steel boiler with tap water, press the start button, and soon you’ll be enjoying the purest water possible. With the easy-to-use electronic monitor, you can program it before bed for that first cup of coffee or tea in the morning. After running a one-gallon cycle, keep a carafe in the refrigerator for a chilled glass of pure refreshment—whenever you want. Fill trays for perfectly clear and pure icecubes. Even take the 8800 along on your next trip. The portable, programmable 8800 is ready when you are! Automatic shut-off (works while you sleep or are away from home). Volatile gasses boil off through vent in condensing coil. European design compliments any countertop area! Power - 120V AC / 60 Hz - 800 watt. Electrical Costs: Three times KWH cost per gallon - approx. 35¢ per gallon. Will produce up to 6 U.S. gallons per day. 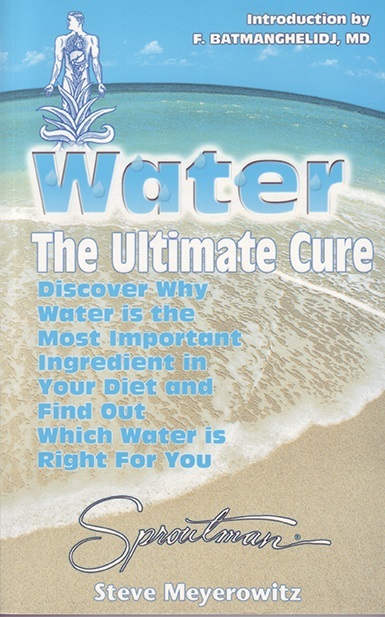 Distillation is the most effective method of water purification. Distillation occurs when water is brought to 212 degrees, boiled, thus killing bacteria and viruses, then vaporized to separate out minerals, lead, bacteria, nitrates and other contaminants. The vapor is then condensed back into liquid water that is 99.9 percent pure. 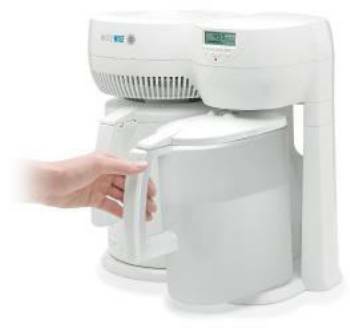 Distillers eliminate the need and inconvenience of buying bottled water, and help maximize the life of water-using appliances such as coffee makers, steam irons and humidifiers by preventing mineral build-up. Tap water is heated to 212 degrees F in the boiling chamber, killing bacteria, virus, cysts and protozoan that may be present. Steam rises into the cooling coil, while volatile gasses (VOCs), vent off through through a special vent in condensing coil. Steam rises into the cooling coil, Fan forced air, cools the cooling coil, causing the water vapor to condense back to a liquid. The dissolved solids, salts and other contaminants are left behind in the stainless still pot, easily cleaned before next use. Purified water percolates out through the cooling coil then through a carbon polishing filter into the 1 gallon storage container. The WaterWise distiller produces one liter on of pure, refreshing water per hour. Six gallons per day. 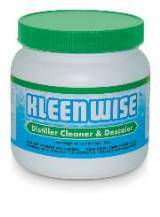 Kleenwise Distiller Cleaner - 40oz.